John Hamilton, USGS Scientist, installs a NetQuakes instrument at the San Jose Earthquakes Stadium. Photo by Scott Haefner, USGS. The USGS is working to achieve a denser and more uniform spacing of seismographs in select urban areas to provide better measurements of ground motion during earthquakes. These measurements improve our ability to make rapid post-earthquake assessments of expected damage and contribute to the continuing development of engineering standards for construction. 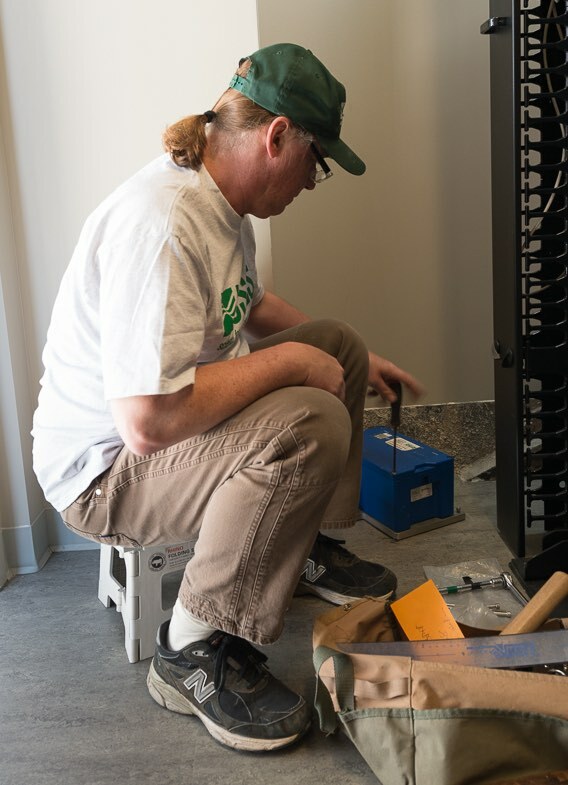 To accomplish this, we developed a new type of digital seismograph that connects to a local network via WiFi and uses existing broadband connections to transmit data to USGS after an earthquake. The instruments are designed to be installed in private homes, businesses, public buildings and schools with an existing broadband connection to the internet. The most recent triggered activity at each seismograph is available online. Currently, we are unable to purchase additional instruments, so we don’t anticipate performing many new installations. However, if you’d like to host a seismograph, we will continue collecting names and addresses so that if more become available, we will be able to place them in the most effective locations. The NetQuakes seismographs access the internet via a wireless router connected to your existing broadband internet connection. The seismograph transmits data only after earthquakes greater than magnitude 3 and otherwise does not consume significant bandwidth.